Jukebox Poker is easy to operate and easy for your guests to play. They don't even need to know how to play poker! User friendly software that easily allows in house staff the ability to host Jukebox Poker events without hiring a company to do it for you. All you supply is a sound system and computer. Music is legal and licensed through the Audio Video Licensing Agency (AVLA). Over 40 different games with more games available at no additional cost as they are released. BONUS: Comes with a complete Digi-Beats Music Library of over 25,000 songs and counting! Initial purchase subscription is valid for 90 days, then monthly/annual subscription fees apply as described below. 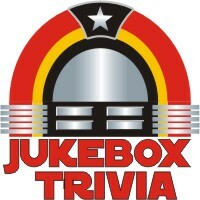 This Item is an ongoing subscription for the Jukebox Poker item as listed above. Subscribers have the choice of subscribing in the following 2 ways: 1) Pre-Paid Annual Subscription (Get 2 Months Free!) 2) Monthly, Quarterly or Semi-annual Subscription(s). Once you have renewed your subscription, your new unlock file will be sent to you by email within 72 hours of your purchase.